REVIEW | LG NeON 2 325 / 330 / 335 - Solar Review. Home Panels REVIEW | LG NeON 2 325 / 330 / 335 / 340. What could be the worst buying decision you could make when investing thousands into a solar energy system? Seriously think about it for a moment. Now consider the LG NeON 2 is not the cheapest solar panel available, but it’s not the most expensive either. Would it be a waste of money if your solar investment began to fall short of promise within the first 5-years? Make and model: LG NeON 2. Variants: 325W/ 330W / 335W / 340W. Award winning design, 25-year warranty. Fact is many solar investments fall short of promise within the first 5-years of operation. Yes, even with extensive warranties in place by so-called big industry names. Once your system has been operational for the first few months, it becomes almost set and forget. Then one day when you open your next electricity bill, it’s shot up unexpectedly due to system non-performance. As like anything, prevention is better than the cure and you only really do this solar thing once. To assist in understanding if the LG NeON 2 is going to live up to expectation or not the essential criteria of design, durability, efficiency, performance, guarantee and affordability all must be considered. To see how the LG NeON 2 ranks in the Solar Review Module Assessment Criteria be sure to view the scorecard at the bottom of this post! 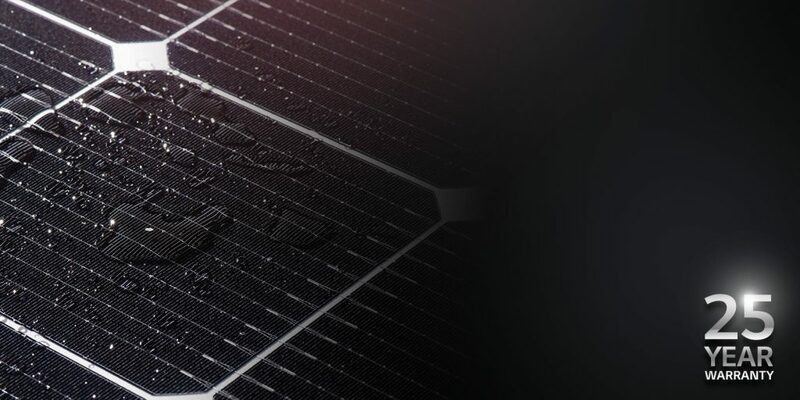 The LG NeON 2 made headlines in 2015 with an innovative busbar design which allowed LG’s monocrystalline cell to harvest greater electrical energy from the available light when compared to its predecessor the LG mono X. 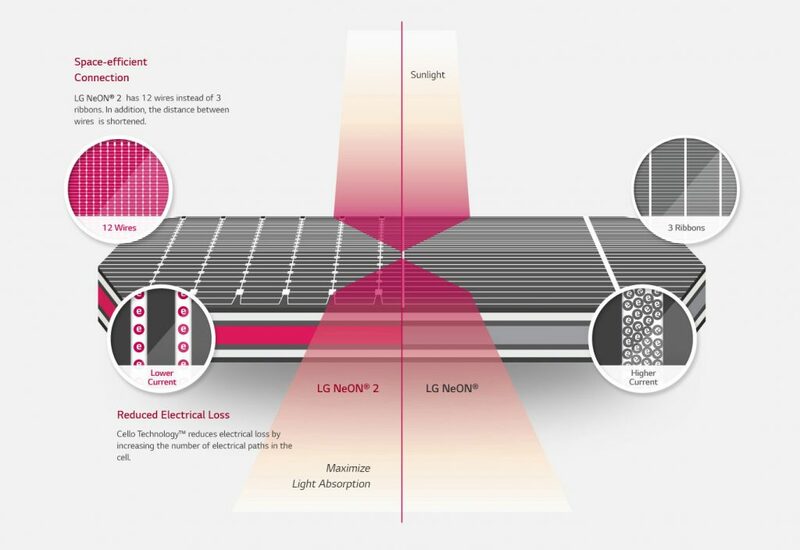 Referred to as LG’s proprietary CELLO technology this innovative design is made up of 12 super thin busbars on the monocrystalline cells surface. The engineering behind the design facilitates improved light absorption occupying minimal surface area. Reducing electrical loss by increasing the number of electrical paths in the cell. 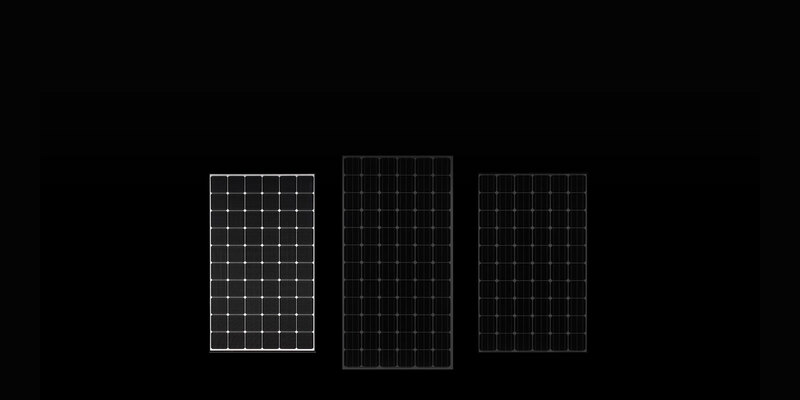 Easily one of the most significant innovations in recent solar panel design history and indeed game-changing. 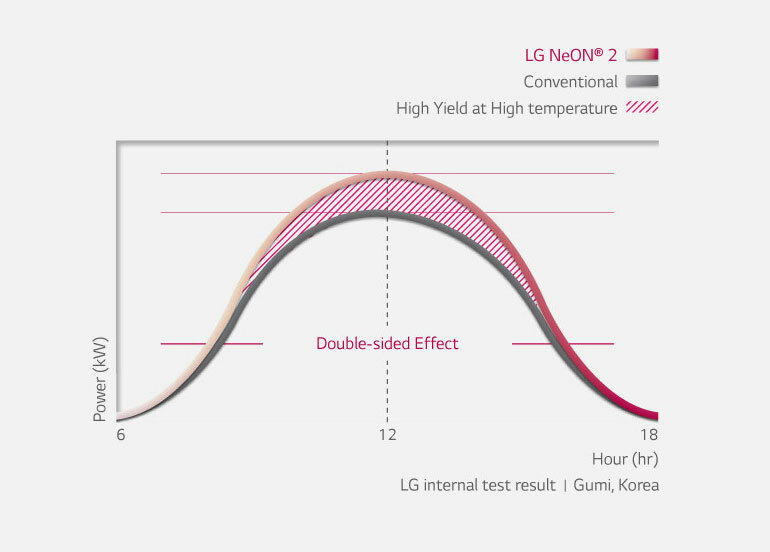 Maximum available resistance to salt mist ensures the LG NeON 2 variants are a suitable selection for installation in coastal areas (severity max. of 6). 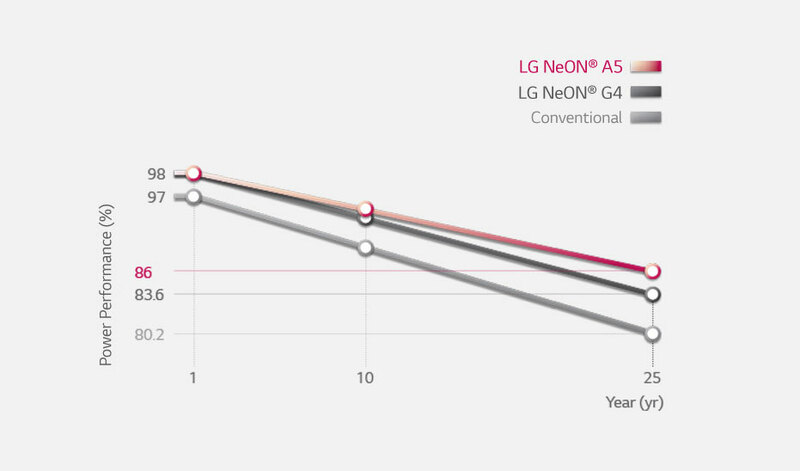 For added versatility, the LG NeON 2 is resistant to increased levels of ammonia (agricultural areas). Both temperature cycling test and moisture/heat tests are proven exceed that of IEC standard by double or higher. Incorporated with the same reinforced double-walled aluminium frame as the super high performing LG NeON R, the LG NeON 2 facilitates impressive strength capable of withstanding wind loads up to 5400 Pa from the rear. More than twice that of the IEC industry standard rating of 2400 Pa. A vital durability factor for those who require solar panels mounted on a tilted frame. Hail Impact resistance is superior recorded rating 35mm at 27m/s. 35mm hail impact at 23m/s. More than a respectable efficiency of up to 19.6% within the 335W variant ensures the LG NeON 2 is within the top efficiency performers of commercially available solar panels. A -0.37%C Temperature coefficient is highly respectable when compared to alternative 60-cell monocrystalline solar panels. A positive power tolerance of +3% rounds off the efficiency criteria to ensure superior efficiency amongst alternative solar panel options. Watt for watt in real-world conditions live data obtained from a test site in Sydney Australia suggests that the LG NeON 2 has the ability to outperform the LG NeON R. Although very subjective and highly variable, the LG NeON 2 has proven itself amongst more expensive technology as an outstanding performer. Assurance of such performance is supported by a reduced annual degradation of 0.35% after an initial 2% in year-1. By year 25 the LG NeON 2 shall continue to produce no less than 89.6% of the rated output. An outstanding performance guarantee. A recently upgraded product guarantee ensure all LG NeON 2 solar panels produced after 01/01/2017 benefit from a comprehensive 25-year product warranty (parts & labour). More than twice that of the the industry average. A resounding statement to ensure the LG NeON 2 not only outperforms but is also built to outlast. Considering how LG distributes it’s products to the market, there is one negative with the LG product guarantee. Installation dictates product longevity, a trained installer network should have access to an additional 10-years product guarantee on top of a base 15-year warranty with conformance to manufacturer installation guidelines instead of a flat 25-year warranty. An assurance that consumers are getting a manufacturer approved best practice installation to match the product. Authorised installer network with no additional end-user benefits. A higher purchase price than most on a per watt basis should not detract from the LG NeON 2 value. Factoring in world-class performance, warranty and durability, the LG NeON 2 is priced well. Similar products by alternative manufacturers are priced much higher and lack in certain aspects. For the elite product which the LG NeON 2 solar panel is, value for money is in abundance assuring a future proof solar energy system. Approximately $0.79 per watt USD ex. 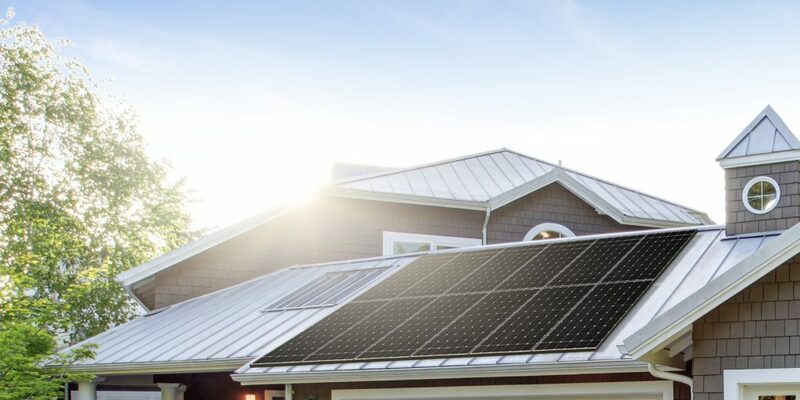 Incorporating the LG NeON 2 within a solar energy system is likely to cost approximately twice that of a system including so called “Tier-1” manufactured solar panels. It’s important to note, these are not the same beast and should never be compared. For the more discerning investor looking to prevent higher bills and maintenance costs, the LG NeON 2 is almost the perfect balance of all the above criteria with a price which reflects high-grade technology. Scorecard and summary below. Got questions or have an opinion? Don’t be shy leave it below in the comments section. Ranking overall EXCEPTIONAL in the Solar Review Module Assesment Criteria, the LG NeON 2 range was once in a league which consisted of very few. Although the competition is now innovating towards the 19%+ efficiencies and affordability becomes more of a talking point than ever before. Rest assured the LG NeON 2 range has earnt respect for very good reason. Previous articleREVIEW | SunPower X-Series 350 / 360 / 370. Next articleREVIEW | The New SMA Sunny Tripower 3 / 4 / 5 / 6 kW.